After introducing the iPhone 4S on Tuesday, Apple was met with an onslaught ofharsh criticism for essentially “not living up to the hype.” Several rumors regarding a completely redesigned handset seemed to set the wrong expectations. But level-headed folks saw this coming a mile away. The Cupertino company pulled the same thing with the 3GS. Why recreate something brand new every year, when the cell phone business generally revolves around two-year contracts? But does the fact that the iPhone 4S looks strikingly similar to its predecessor mean that it’s a bad handset? Of course not. In fact, in several categories, Apple’s new smartphone will still rank at the top of its class. Sporting the same A5, dual-core processor found in Apple’s latest tablet, the iPhone 4S is 2x faster than its predecessor. And its graphics processor got an upgrade as well. The new GPU is 7x faster than the chip found in the iPhone 4. These improvements will be most noticeable in resource-intensive apps, and especially in games. Look for developers to start utilizing the A5 to produce games with much better graphics and sharper details. The iPhone 4S houses a state-of-the art 8MP camera, capable of taking 3264 x 2448 photos. That’s 60% more pixels than the iPhone 4′s camera, and it allows you to print out crystal clear 8×10 photos. Other new features include an improved illumination sensor, which will improve lowlight pictures, and an infrared filter to produce more accurate colors. And with Apple’s new custom ISP (Image Signal Processor), you can go from the homescreen to taking a picture, in 1.1 seconds. Now that’s fast. Although the previous iPhone was capable of capturing HD video, it was limited to just 720 lines of resolution. The iPhone 4S is capable of shooting video in full HD, which is 1080 lines. The video camera also includes pro features like temporal noise reduction, which helps you record video in lowlight situations, and image stabilization to compensate for the shakiness that typically occurs when a camera isn’t mounted on a tripod. 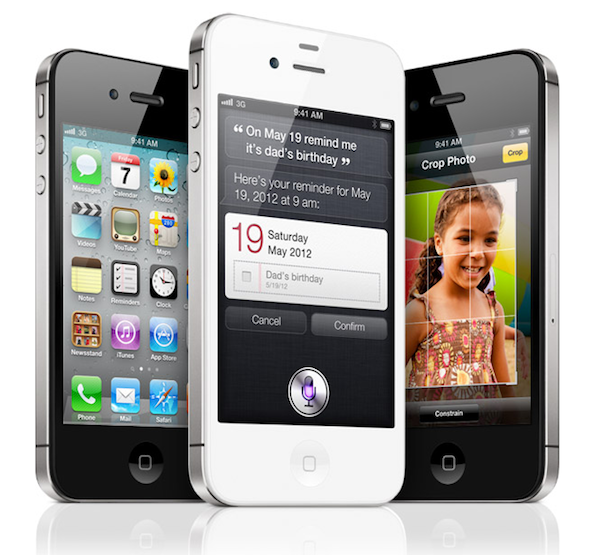 The iPhone 4S will come pre-installed with Siri, your very own digital personal assistant. The responding-voice recognition system uses artificial intelligence and seemingly endless knowledge to answer your questions and help you with multitask. Siri can answer trivial questions, pull up restaurants and movie theaters, and even scribe emails and textmessages for you. The system stands out among other voice command technologies, because it understands plain language and has access to such a large database of information. This feature is aimed at folks who already own an Apple TV, but it’s one of the coolest additions in the new iPhone. With AirPlay mirroring, everything you do on your iPhone can be mirrored on your TV set via an Apple TV. That means you can browse the web, type an email, and even play games on the big screen — and it’s all wireless. Game developers are already taking advantage of the new feature, creating multiplayer racing games that you can play on your TV set, while using your iPhone as the controller. AirPlay mirroring is only available on the iPad 2 and the iPhone 4S. Apple caught a lot of heat over the iPhone 4′s antenna woes. The debacle ended up costing the company a lot of bad publicity and millions of dollars in free cases. But this time around, Apple did its homework. The iPhone 4S touts a new dual-antenna design for improved reception, and houses a new feature that switches between the two for better call quality. And if your carrier happens to support HSDPA+, your iPhone 4S will be capable of downloading data at 14.4Mbps. That’s twice as fast as the iPhone 4 and on par with other “4G” handsets. Even with the iPhone 4S’ new A5 dual core processor, 8MP camera, and the always-ready Siri assistant, the handset still manages to hold on to its predecessor’s amazing battery life. With Apple’s new handset you can talk up to 8 hours on 3G (14 hours on 2G), you can browse the internet for up to 6 hours (9 hours on Wi-Fi), you can watch up to 10 hours of video, and listen to music for a staggering 40 hours straight. And if you’re not a heavy user, the iPhone 4S has a standby time of up to 200 hours. Though a lot of folks were expecting a redesigned smartphone, the iPhone 4S is still a remarkable engineering feat. A year after its introduction, the device continues to be one of the slimmest (if not the slimmest) handsets on the market — even with all of its hardware improvements. The original iPhone 4 was heralded as “beautiful” and “striking,” and the iPhone 4S continues that trend. Though its 3.5″ screen might feel small in the company of other 4″+ devices, it helps keep the new iPhone portable enough to fit comfortably in your pocket. The App Store doesn’t really need an introduction. Apple was first to strike it big in the mobile apps market, and it’s paid off for the company in dividends. The iOS platform is way ahead of the competition in the third party apps race. Not just in terms of quantity, but quality as well. Apple’s stringent app-approval process keeps out malicious software, and ensures (for the most part) that only quality software makes it into its ecosystem. The iPhone 4S will be able to run all of the App Store’s 500,000+ titles, as well as any new ones that come out that require Apple’s A5 processor. Apple’s products are synonymous with the phrase “it just works,” and the iPhone is no exception. It’s reliable, rarely (if ever) freezes or crashes, and doesn’t suffer from the fragmentation issues that plague other mobile platforms. Apple makes the hardware, and creates the software, and both work beautifully together to provide a pain-free smartphone experience. The numbers speak for themselves. Several recent reports have found that over 90% of iPhone owners are likely to buy their next handset from Apple. Expect the iPhone 4S to continue the tradition. The image shown to the right is a design document for an iPhone 5 case, sourced to Mobile Fun from a Chinese case manufacturer. Luckily for us, the image shows the iPhone 5 and reveals some of the massive changes that have been made with the latest edition of Apple’s iPhone. Soon after receiving the first image shown here, we were sent from a different manufacturer a mockup of how another iPhone 5 case would look. This release seems to corroborate many of the features indicated by the first image. If these images are authentic – and we have every reason to believe that they are – then the iPhone 5 is a radical evolution of the iPhone concept, and a bigger departure from the iPhone 4 than previous case images have shown. Starting with the front of the phone, we can see that the screen size has been extended considerably, from 3.5 inches to 4, although the overall size of the phone has remained the same. This has been accomplished by shrinking the bezel such that no space is wasted; the display stretches from edge to edge, and the top and bottom bezels have been considerably reduced in size as well. It’s possible this ties into a patent filed by Apple a few months ago, which suggests that the extra space will be used for on-screen indicators and controls. These indicators could then be hidden, à la Lion’s full screen apps, to maximuse screen space for applications like 1080p video playback. Another interesting point is the curvature of the iPhone 5. After going with a squared construction on the iPhone 4, Apple seem to have reverted to their curvaceous ways. The iPhone 5′s rear panel curves gently back around its edges, much like the iPhone 3G. 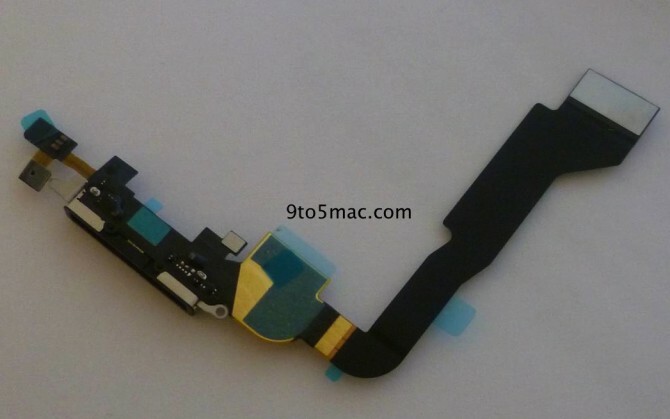 This likely means that the back will be metal, and could serve as a replacement for the iPhone 4′s unique side antennae which seemed revolutionary at the time, but caused so much trouble with call droppage last year. On the other hand, Apple does have the capability to produce curved glass, after its purchase of a few hundred glass cutting machines, which were said to be too expensive for manufacturers. Curved glass doesn’t appear to be being used on the front display, but could very well make up the back. The case shown in the design document does include a gap for the Apple logo; this may lend credence to rumours that the logo itself will serve as the iPhone 5′s attenae. This feature isn’t present on the second image however, so it may simply be a design choice between the two case manufacturers rather than a technical requirement. Steve Jobs originally intended for the iPhone to be buttonless, but found he couldn’t quite get away with it. It looks like he’s some way closer to that goal with the iPhone 5; the physical home screen button has been replaced with a touch-sensitive ovaloid area which takes up the middle half of the bottom border. This area might be used for unique multi-touch gestures, given its increased size. Another big difference is the placement of the side buttons; according to the design document these are now placed on the opposite side of the phone. The lock toggle is therefore quite close to the camera, but the volume buttons have moved much further down the phone, sitting just below the halfway point. It’s possible that these, and the lock button on the top, have been changed to be touch-sensitive rather than being physical buttons. In a lot of ways the iPhone 4 was a mixed success for Apple, with a few design decisions representing a step backwards for the brand. This rethink of the iPhone design looks to combine the best features of the iPhone 4, some touches from iPhones gone past, and a trainload of exciting new developments. The iPhone 5 is rumoured to launch later this year, so soon we’ll see what Apple has wrought. iPhone, iPod touch, or iPad moving at a slow crawl or just feels laggy and buggy and trying to figure out how to get it back up to speed? There are few things that you can do try. Stay with us after the break to find out how to help your iPhone out. KIll recent apps in your Fast App Switcher. There might be a rogue process eating up memory. If you have any other ideas on how to deal with a frozen or buggy iPhone, iPad or iPod, let me know in comments! 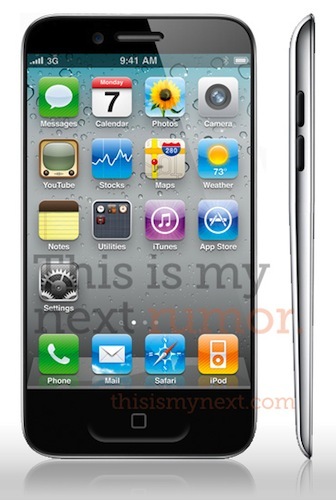 iPhone 5 Details: 3.7-Inch Screen, Home Button with Gesture Area? Former Engadget editor Joshua Topolsky has revealed possible new information on the upcoming iPhone 5, but that information seems to contradict other recent claims. Topolsky reiterates from his previous Engadget report that the next iPhone is to be completely redesigned, and that it looks more like the iPod touch than the iPhone 4. The new phone will be thinner and have a "teardrop" shape which goes from thick to thin, similar to the MacBook Air. Meanwhile, the home button will be doing "double duty" as both a button and and a gesture area. this falls in line with testing weve seen for gestures on the iPad, and our sources say that gestures are definitely coming in a future version of iOS. The home button will likely be enlarged, but not scrapped altogether. He also details that the screen will occupy nearly the entire front of the phone leaving almost no bezel. This information is consistent with some earlier rumors that suggested an "edge to edge" screen. In addition Apple is said to be doing very "interesting things" with bonded glass technology and even exploring designs where the earpiece and sensors are behind the screen itself. Topolsky is also hearing that the screen may go up to 3.7 inches while keeping the same resolution. This would keep the DPI within the "Retina" display moniker at 312dpi. Finally, there are some hints that there may be some form of inductive or touch charging but this seems unconfirmed. Joshua Topolsky is the former editor-in-chief of Engadget and is well connected with his previous rumors being published to Engadget. This information, however, contradicts some previous reports from Reuters which suggest the iPhone 5 will carry a very similar form factor as the iPhone 4. Notably, in the same original Engadget report that detailed the "completely redesigned" iPhone 5, Topolsky/Engadget had previously predicted that the iPad 2 would carry a higher resolution screen and SD card slot, neither of which came true. 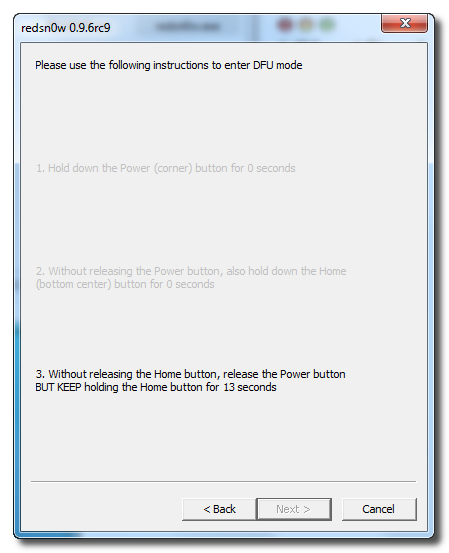 These are instructions on how to jailbreak your iPhone 4 on the 4.3.1 firmware using RedSn0w for Windows. 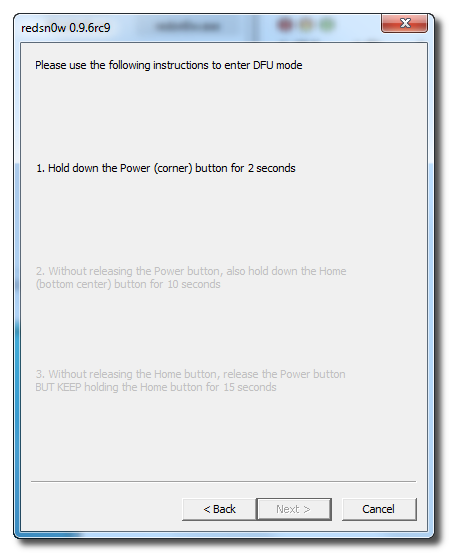 The Mac version of this tutorial is here. Make sure not to update to iOS 4.3.1 if you need an unlock as one is not yet available! 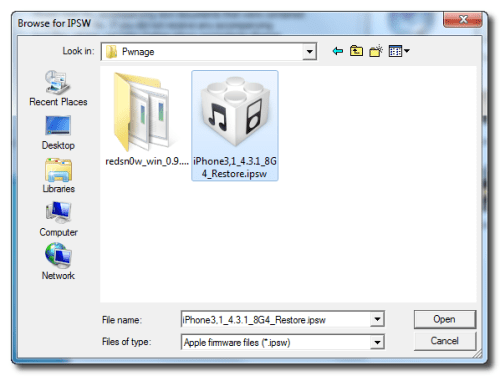 Download RedSn0w from here and place it in the Pwnage folder. 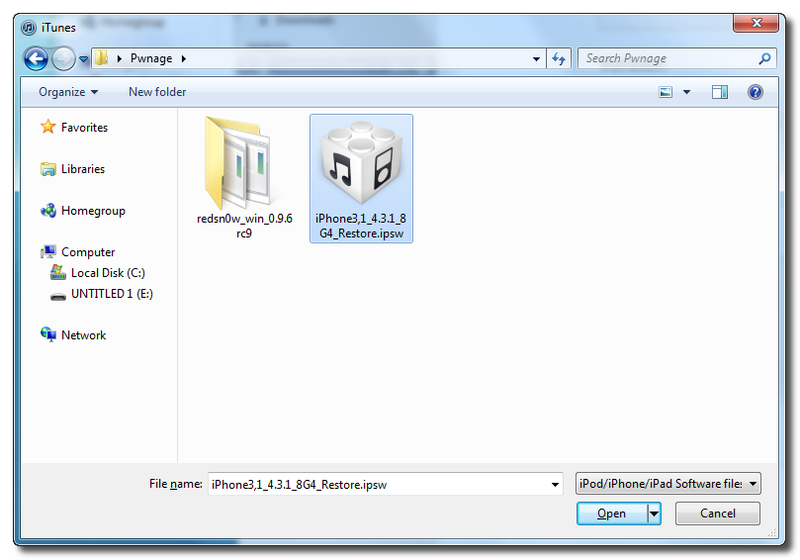 Likewise, download the latest 4.3.1 firmware from below and place it in the same folder. 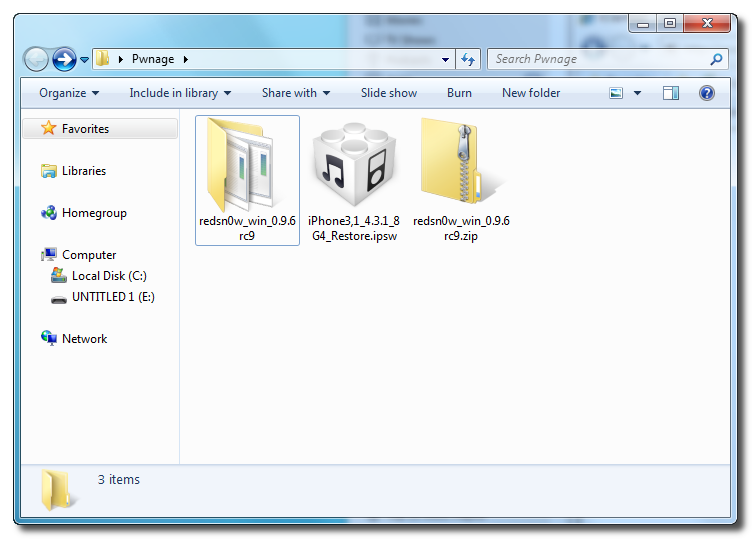 Extract the RedSn0w zip file into the same folder. Navigate to the Pwnage folder on your desktop and select the 4.3.1 firmware ipsw. Click the Choose button to continue. 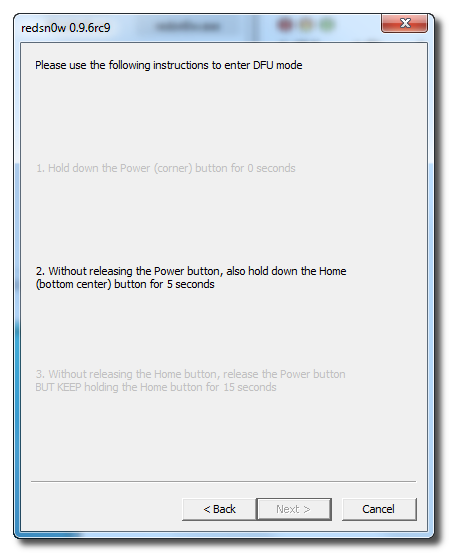 Make sure Cydia is selected and click the Next button to continue. *As usual a big thanks to the iPhone Dev-Team and I0n1c for their hard work and contribution to the iPhone community. **Windows 7 users may want to try running the redsn0w executable mode as an administrator in Windows Vista compatibility mode if you experience any trouble. 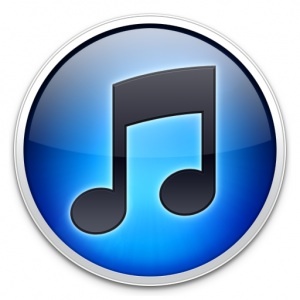 Next iPod nano to add camera, retain current form factor? The fifth-generation iPod nano packed video recording, a widescreen display, and video playback. Apple decided to drop these key features in favor of a smaller-form factor, a Multi-Touch display, an iOS-like user interface, and a belt clip for the current, sixth generation model. Now, according to a purported seventh generation iPod nano part from Apple.pro, Apple may be putting the camera back into their popular music player while still keeping the current model’s size and display. The image was apparently sent to the site two days ago. The site has been relatively accurate in the past, leaking legitimate images of Verizon iPhone 4 schematics from Foxconn, the mini touch-screen found in the current iPod nano, accurate iPad 2 details, and more. 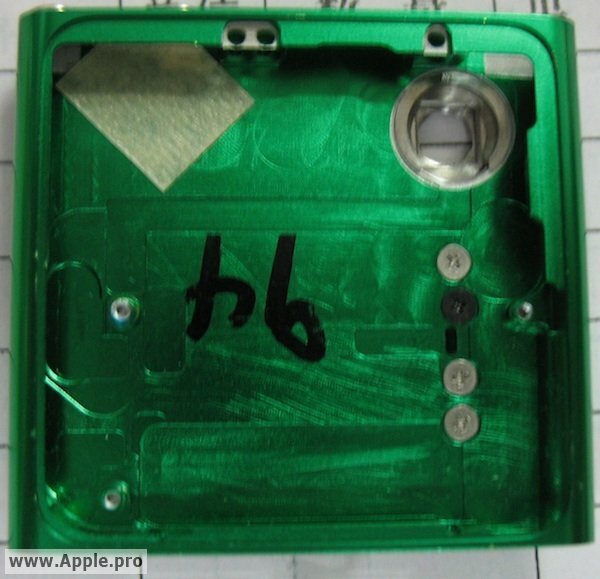 Something to note about Apple’s purported plans for the next iPod nano is the location of the belt clip. With this purported camera hole Apple will most likely need to re-position it or maybe even make it shorter. Also, how would using this super-small device for taking pics and flicks feel? We are hearing from our connections with sources at Foxconn that the next-generation iPhone will include an iPhone 4-like design, and now we have some more information: parts. Replace Base helped us get our hands on the dock connector and headphone jack flex. While these parts don’t look all to interesting to the normal eye, we had our friends at the iFixYouri iPhone repair shop take a look at these parts to basically confirm a few things. First is that, indicative of these parts, the fifth-generation iPhone will have color options: black or white. This isn’t all too surprising – seeing we’re seeing a white iPhone 4 soon – but it’s still worth mentioning for fans of white devices. Next is the iPhone home button. Some rumors from earlier this year pointed to future iPhones lacking physical home buttons. The dock connector for the iPhone 5 seems to refute all that as the home button connector is present on the piece. Next is the headphone jack flex: It’s redesigned. Although the redesign of an internal part that the consumer will never see does not seem exciting, the engineering aspect of it certainly does. The connection piece to the iPhone’s motherboard usually sits at the top of the cable but on the next iPhone, it sits on the middle of the cable. 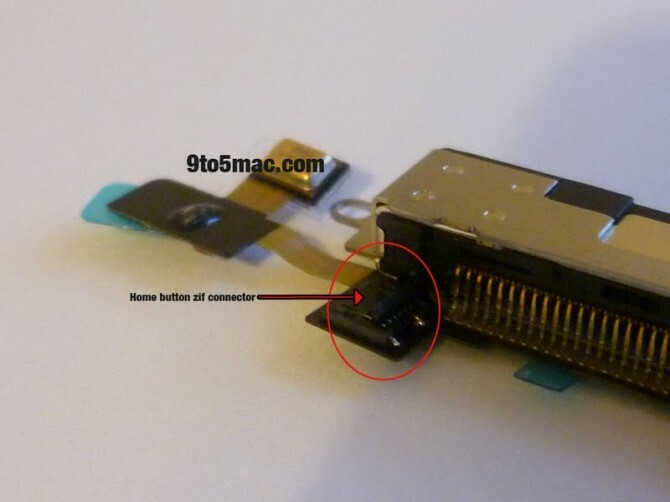 Apple moving the headphone jack flex motherboard connector elsewhere could mean that Apple might be making room for something new in the device. Our speculation ranges from a beefier processor, more storage, a bigger battery, a better camera, a 4G chip, a Gobi CDMA/GSM chip, to NFC. At this point there is no way to tell. What we do know is..
that the fifth-generation iPhone’s size and shape will be similar – if not exactly same in size – to the iPhone 4 since the parts are the same size. That doesn’t mean Apple won’t pack in a bigger screen (external), an A5 processor, more RAM, and a metal back plate. 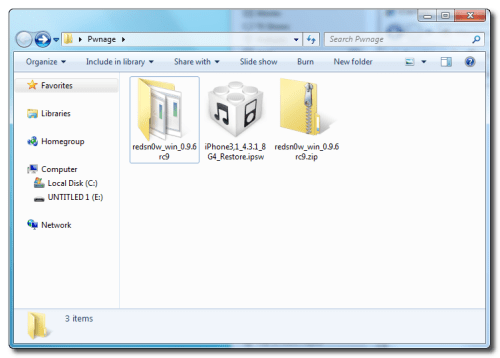 iPhone security expert and hacker Stefan Esser has now provided an ETA for his untethered jailbreak tool for iOS 4.3. According to the updated YouTube description of his video, he is going to release it as soon as next week. The jailbreak uses a *UNDISCLOSED* exploit in the iOS Kernel. Installation is similar to previous iOS versions which means you require a bootrom exploit (or something else) to install it in the root partition. 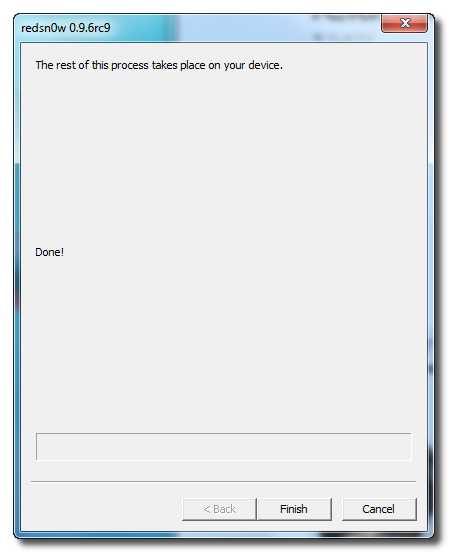 Because there is no public bootrom exploit for the iPad 2 at the moment it will not work for now. 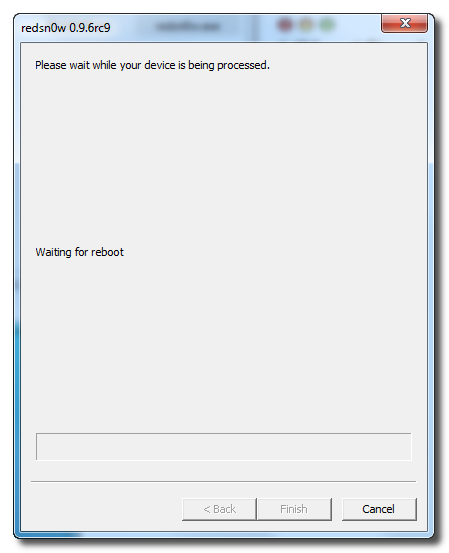 Because of several changes in iOS 4.3 in comparison to iOS 4.2.1 the jailbreak is NOT READY yet. That is what the *ALPHA* means. I need some time to check what kernel patches are actually required to work 100%ly. However I recommend the dev-team or chronic-dev to first release a *tethered* iOS 4.3 so that everyone can test if their nice feature actually work. I guess most people require Mobile Substrate to work and AFAIK it does not work due to ASLR. 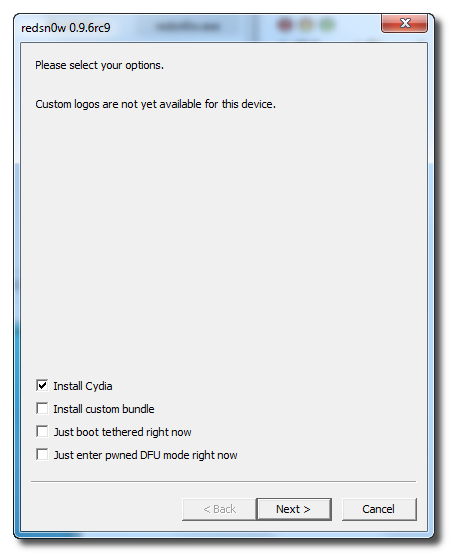 It would be a waste if Apple kills an untethered jailbreak before Mobile Substrate works. That said I will release the jailbreak when a) there is no other untether by the time I am finished b) if MobileSubstrate works. 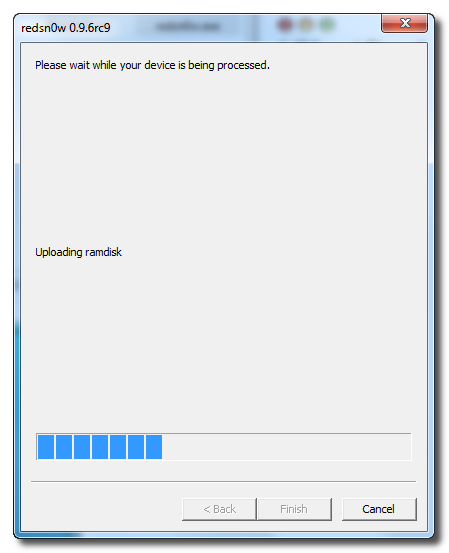 Any report that I wait for iOS 4.3.1 is just a misinterpretation of my words. 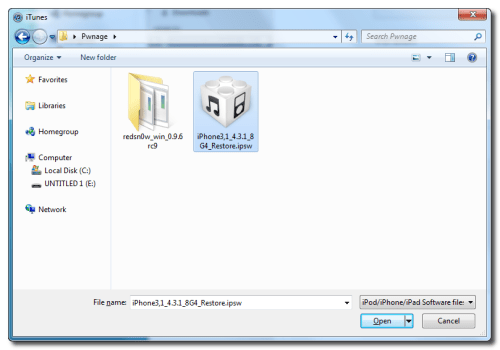 I merely think that Apple should release a iOS 4.3.1 soon, because it is in their interest to not wait for several months when everyone knows that there is a remote exploit in MobileSafari that might have leaked during the #PWN2OWN contest. Check back in the next days for more information about when and where you can get it. DO NOT LET YOURSELF GET SCAMMED BY ALL THE OTHERS TRYING TO SELL YOU THIS EXPLOIT. IT WILL NOT LEAVE MY HOUSE BEFORE IT IS FINISHED. I am pretty sure that the untether will be released before the next weekend. I was using older kernel patches that caused lagging on the jailbroken device. 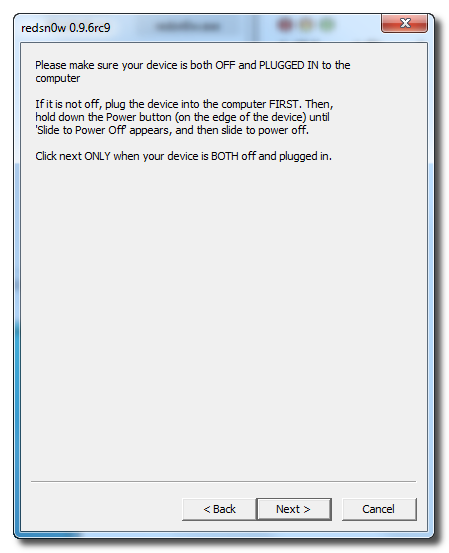 I will change that and then port it to the other devices and release. As always, we will keep you updated ! Stay tuned for more! The Apple online store opened yesterday with 3-4 day shipping times then it turned to 5-7 days and then to a whole 2-3 weeks. 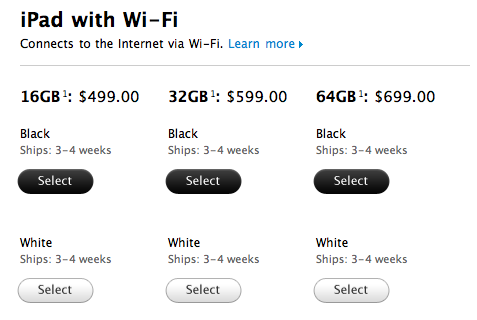 Now the Apple store is quoting 3 weeks to a month before you get your iPad 2. That’s only the time until the shipment happens, you can add a few days to a week before the magical tablet actually drops at your door step. Apple is yet to report how many iPad 2s they sold on launch day but this 3-4 week shipment time also has to do with some apparent shortages. Yesterday, many customers reported shortages of certain iPad 2 models at Apple retail stores and third party resellers. Analysts are expecting Apple to cross the 600,000 sales mark for iPad 2s this launch weekend. RUMOUR: DiGi to announce something on 8th March? We got tipped by @jonrulezz with an image that shows an expectant person with 2 apples inside. So what can it be? First thing on top of our minds is the iPad 2. Launching it on 8th March is impossible as Apple is only releasing it on 11th March 2011. If it is indeed the iPad 2, it might be an announcement that they are bringing in the iPad 2 for bundling in Malaysia which normally includes the typical Registration of Interest exercise. Another possibility is that DiGi is doing another promo for the iPhone 4. Special price for 2 units of iPhone 4? 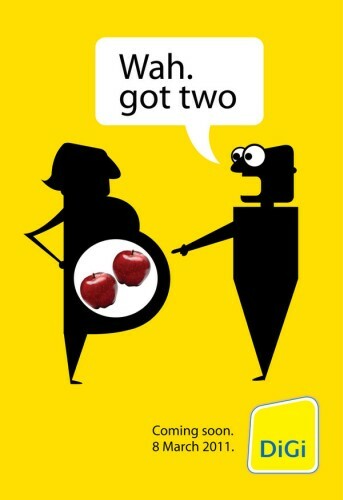 It might be considering DiGi had similar teaser for iPhone 4 launch last September. That time they used 4 apples to represent iPhone 4. Could it be a hoax altogether? Your guess is as good as ours.